Embankment lampshades ready for Clerkenwell Popup…. 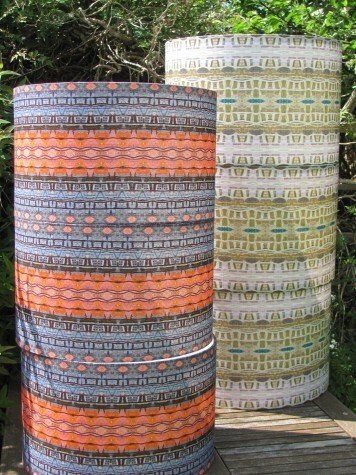 These finished lampshades are out enjoying the sun before heading off to the Anthropologie store in Bath next week! Come along to the store’s grand opening on Friday May 30th to see them on show!